The above video attempts to demonstrate how you can set up custom shortcuts in the "Wiz Games" menu. 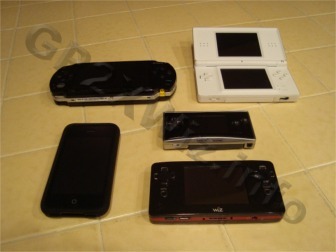 Doing so offers a much more convenient way of launching your emulators. Rather than having to go into "Launcher", navigate to the emulator directory, then run the .gpe file, you can access all of your emulators from one convenient menu. Please also note that the method which I am outlining was tried & tested in Windows XP, but it should also work with Windows Vista and Windows 7. Additionally, I have an option set up in my Windows Explorer folder view to always show file extensions. So for instance, rather than a file saying File1 it will say File1.txt. I find it much more convenient to always see file extensions, especially when performing tweaks and edits to the Wiz file system. Go to "Tools : Folder Options" in the windows explorer menu for any open folder. You might find it preferable to have the Wiz's SD Card folder open. When the Folder Options window appears, go to the View tab. 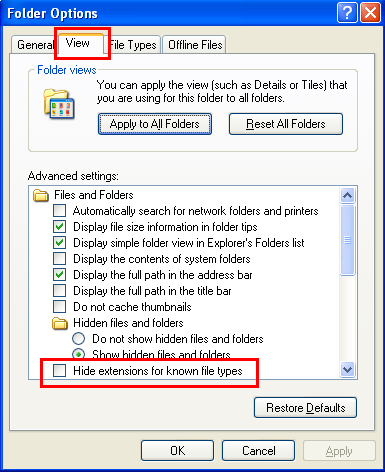 Under Advanced settings make sure the option "Hide extensions for known file types" is unchecked. 2. The Wiz (which is running Linux) is a CASE-SENSITIVE environment. Therefore, Mame and mame would be handled differently. You will need to ensure that your directories and shortcuts factor this in. Special Note: It was pointed out to me that the shortcuts will NOT work if any of the directories are ALL CAPS. So, "mame" and "Mame" are okay, but "MAME" is NOT. 1. Download the .ini template and save MAME.ini in the (sd card root)/game folder. 3. 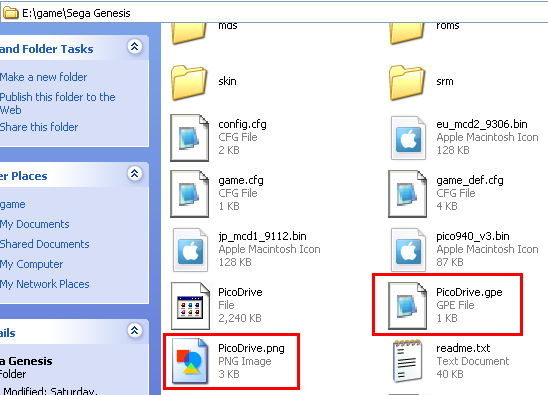 Inside the emulator folder identify the executable (.gpe) file and .png icon file. 4. Back in the (sd card root)/game folder open the MAME.ini template file with NOTEPAD. It is essential to open it with Notepad in order to retain the special carriage returns which Linux uses. 5. Edit the .ini file to properly reflect the shortcut name, and paths to the .gpe and .png files. Remember that all files and folders are case sensitive. 6. 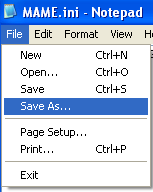 When finised in notepad open the File : Save As dialogue. 7. 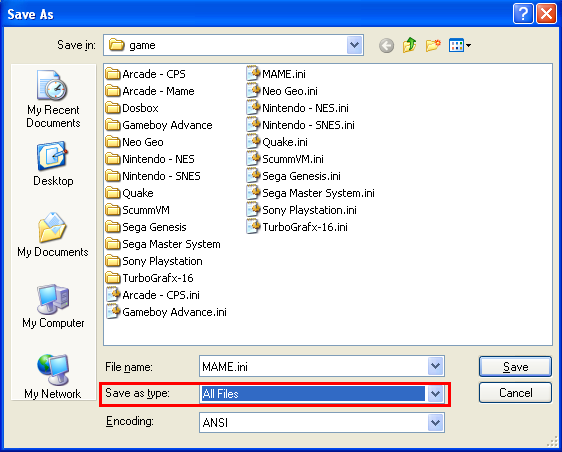 Set Save as type to All Files and name the .ini shortcut file for the emuator as you please. I recommend naming it after the emulator subdirectory. I hope that you found this tutorial to be helpful. Please be sure to visit the Forums to post any of your questions or remarks.